And now available on the Unity Asset Store! The perfect beginner's project. 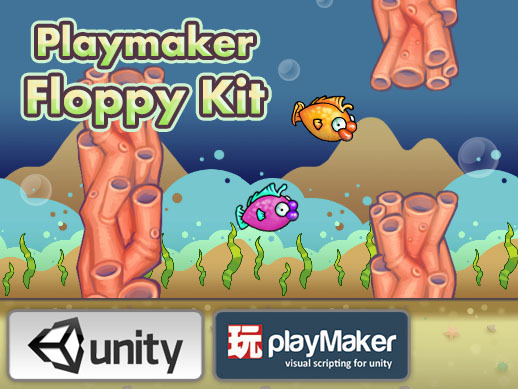 Explore key game development concepts in Playmaker and Unity3D. You will discover how to properly implement essential features such as object pooling, pause and resume, playerpref save games, touch controls, parallax scrolling and more! Learn from easy to understand, fully commented state machines. For those who just want a quick start framework for your own flappy bird type game, this kit is an easily skinnable, mobile ready, highly polished project. Note: Both skins are included with project! 1 - Rigidbody physics based controls. 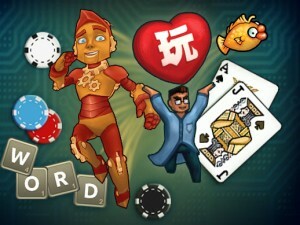 3 - Saves high scores on any platform using Playerprefs. 4 - Touch screen mobile controls built in. 5 - Parallax scrolling multi layered background. 6 - Obstacle pooling system. 7 - Pause and Resume support. 8 - Fully commented logic for easy dissection and tweaking. 9 - Silky smooth 60fps tested on iPad2. 11 - Original artwork and sound included! Well executed, good luck with all this! A lot of people have been emailing me asking how to install the package. Since it isn't from the asset store, the process may be slightly different. The kit comes with full documentation, but you have to import the package before you can access that. I figure I should post this in the forum thread as it may help others who may have the same question. Once you have imported playmaker into your project, simply import either the "PlaymakerFlappyBirdKit.unitypackage" or "PlaymakerFlappyFishKit.unitypackage" into the same project. Then navigate to the scenes folder and load a scene. Make sure you read the documentation that gets extracted into your project as well. In case you are not aware, you can double click a unitypackage and it will open in unity. Otherwise you can right click in project view and choose "Import Package / Custom Package," then navigate to the unity package you wish to import. Cheers guys, I hope you are enjoying the kit! I want to buy your asset. Need some answers. Its v1.0 and released April 12 2014. -Will you support it ? -Will you update it ? -Will you add extra functions ? a) I fully support all my kits. b) For this particular kit, I will only be updating for bug fixes. c) Can you please be more specific? It depends how complex these new functions are. I don't plan on adding any major new features to this game, it is simply flappy bird after all. I played your demo. Your asset is complete but this changes can be good for me. These features are not supported by the default Playmaker actions, I am sorry but I can't add them myself. If you want a store and a rate button you will most likely have to invest in some of stan's ios and android native plugins, I use them in my own games. I have Android Native Plugin. I didnt use it. Do you have any Android Native Plugin tutorial or example with Playmaker ? Unfortunately I have not yet made a game with an in app store, so no I don't have any example. The features I have used were very easy to implement however, stan's documentation is pretty clear. I bought your kit but i have problems. Birds dont fly like your demo. They act weird when going up and down. Quick update, this kit has been updated for Unity 5 and is available now!